Shifting global consumption patterns, tastes and attitudes towards food, leisure, travel and place have opened new opportunities for rural producers in the form of agritourism, ecotourism, wine, food and rural tourism and specialized niche market agricultural production for tourism. Agriculture is one of the oldest and most basic parts of the global economy, while tourism is one of the newest and most rapidly spreading. In the face of current problems of climate change, rising food prices, poverty and a global financial crisis, linkages between agriculture and tourism may provide the basis for new solutions in many countries. A number of challenges, nevertheless, confront the realization of synergies between tourism and agriculture. 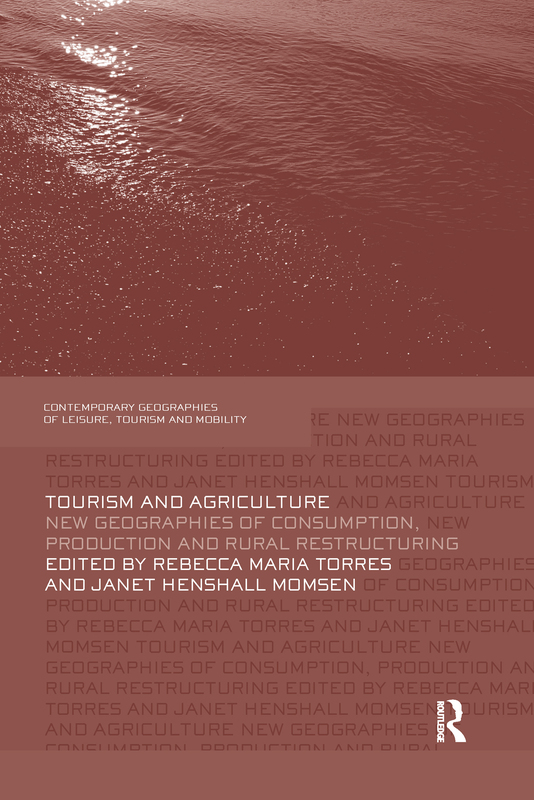 Tourism and Agriculture examines regional specific cases at the interface between tourism and agriculture, looking at the impacts of rural restructuring, and new geographies of consumption and production. To meet the need for a more comprehensive appreciation of the relationships and interactions between the tourism and agricultural economic sectors, this book consider the factors that influence the nature of these relationships; and explore avenues for facilitating synergistic relationships between tourism and agriculture. These relationships are examined in thirteen chapters through case studies from eastern and western Europe, Japan and the United States and from the developing countries of the Pacific, the Caribbean and Ghana and Mexico. Themes of diversification, economic development, and emerging new forms of production and consumption, are integrated throughout the entire book. This essential volume, built on original research, generates new insights into the relationships between tourism and agriculture and future economic rural development. Edited by leading researchers and academics in the field, this book will be of value to students, researchers and academics interested in tourism, agriculture and rural development. Tourism and agriculture in Hungary: post-productivist transition or new functions in rural space?